Grilled cheese donut? Blue cheese chili? Do they really exist? The answer is yes, and they’re made daily by Tom+Chee – a grilled cheese and tomato soup fast-casual concept geared toward our inner “kid at heart”. Marc Elias, Regency’s leasing agent in the Tampa office, tells us all the gooey details about the concept, “Family-owned Tom+Chee first started offering food out of a tent operation at Green Market in Cincinnati, Ohio. They quickly built a ‘cult like’ following in the local area, pushing them to open the first brick and mortar location, where lines often extended out the door and onto the street,” describes Marc. “They then went on the popular NBC show Shark Tank and entered into a partnership with Barbara Corcoran. 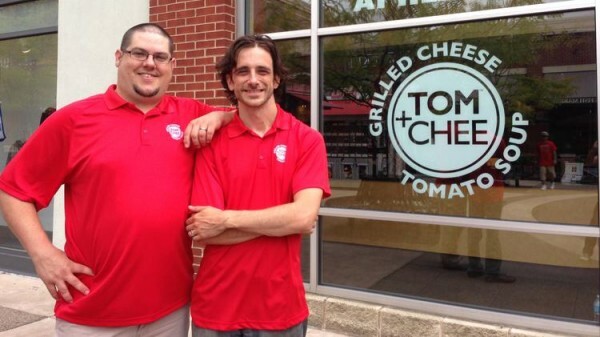 Before the appearance on Shark Tank, Tom+Chee had 3 locations with 70 employees. By February of 2015, after the Shark Tank Update aired, the restaurant had expanded to over 90 locations and 500 employees, gearing up to enter international markets. They have now grossed over $14 million dollars in sales and the city of Cincinnati named December 3rd 'Tom+Chee Day’ to commemorate the company’s five year anniversary of the beginnings as a tent operator,” Marc concluded. We are excited to welcome them to their new location in the Tampa market at our Marketplace Shopping Center. Come by and check out this one-of-a-kind spot for creative twists on satisfying comfort foods, expected to open in late 2015. You can view the original Shark Tank episode and updates below.